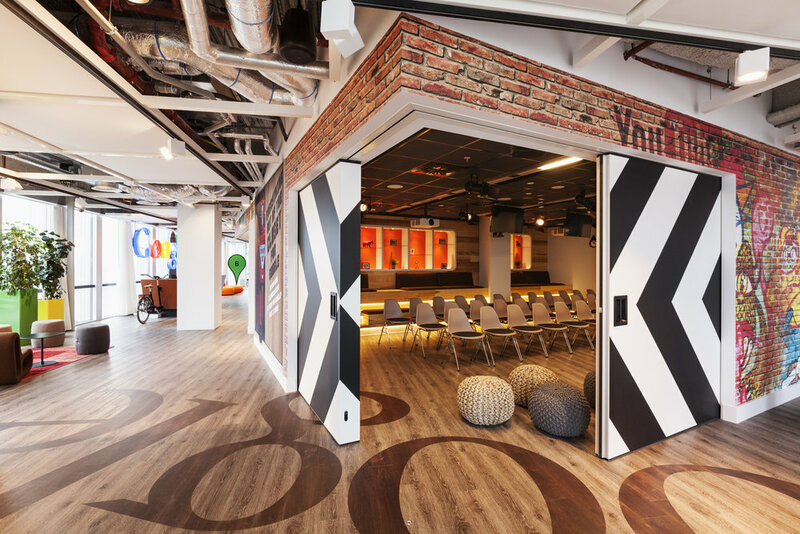 Inspired by the garage from which Larry Page and Sergey Brin first launched Google, their newly refurbished Amsterdam headquarters comes complete with a meditation room, a carrier cycle reception desk and a 70 seat auditorium. Not sure if Larry and Serge kept these next to the sprocket set! 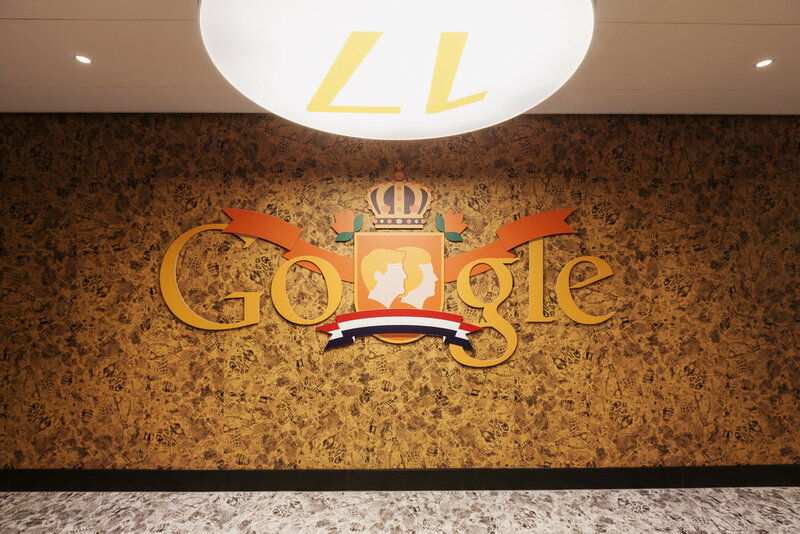 Following the local vibe theme that Google use across most of their global sites (London, Tokyo, Tel Aviv), design studio D/DOCK kept things very Dutch by including gingerbread covered wallpaper, communal bikes and stroopwafels that hang from the ceiling, this office has many things to keep the Google Amsterdammers feeling right at home. 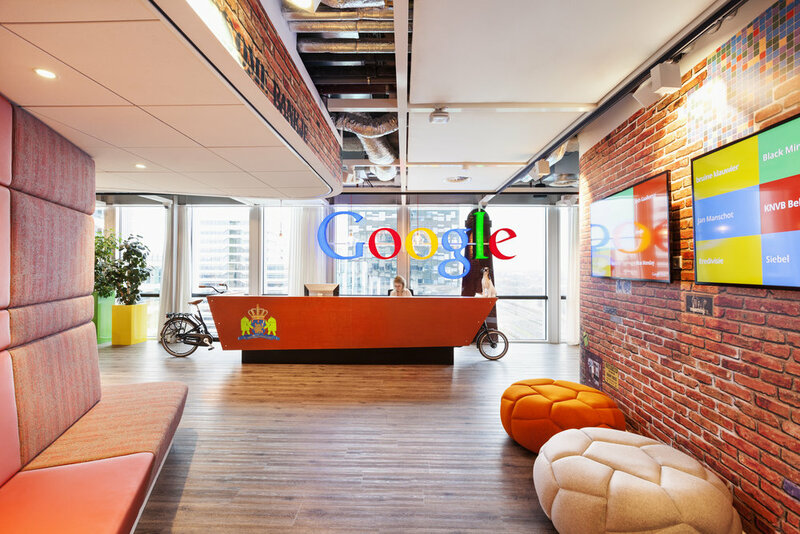 According to D/DOCK’s partner Coen van Dijck, Google’s Amsterdam office is a feel good office. 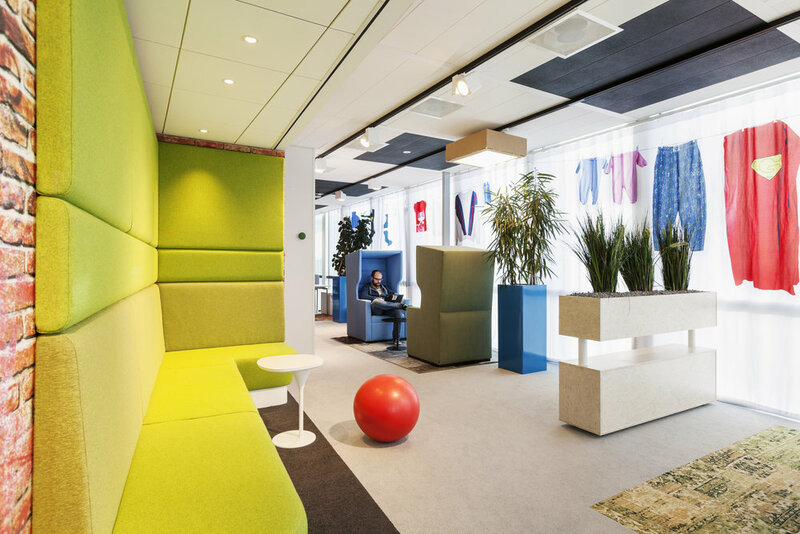 “It is a place that makes the employee perform better by offering a work environment that meets their needs”, he explains. 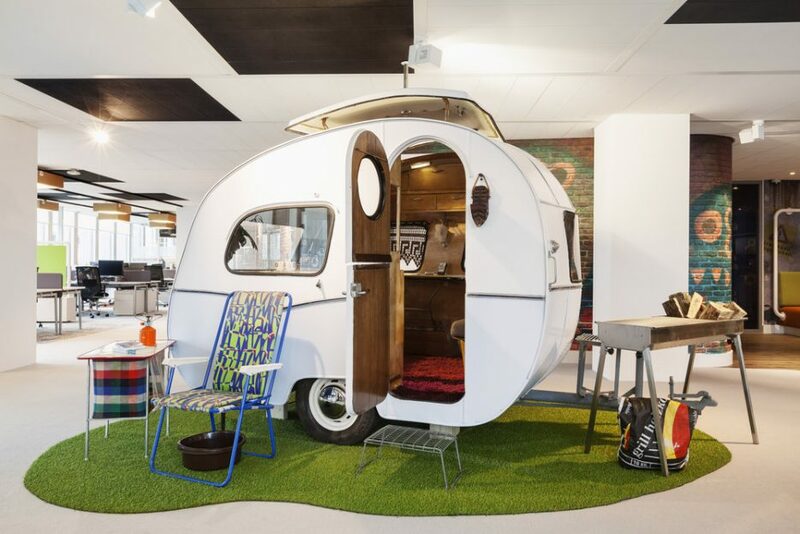 “Happiness, comfort, flexibility, relaxation, well balanced nutrition, exercise, daylight, fresh air and visual stimulation are some of the fundamentals that makes this office a healthy one”, van Dijck continues. 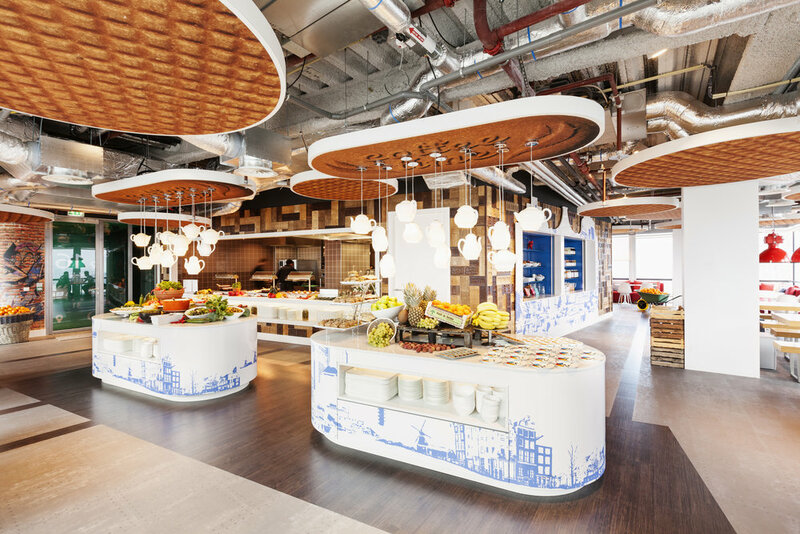 Google’s Healthy Food program ensures well-balanced menus in the restaurant, seating up to 80 Googlers. 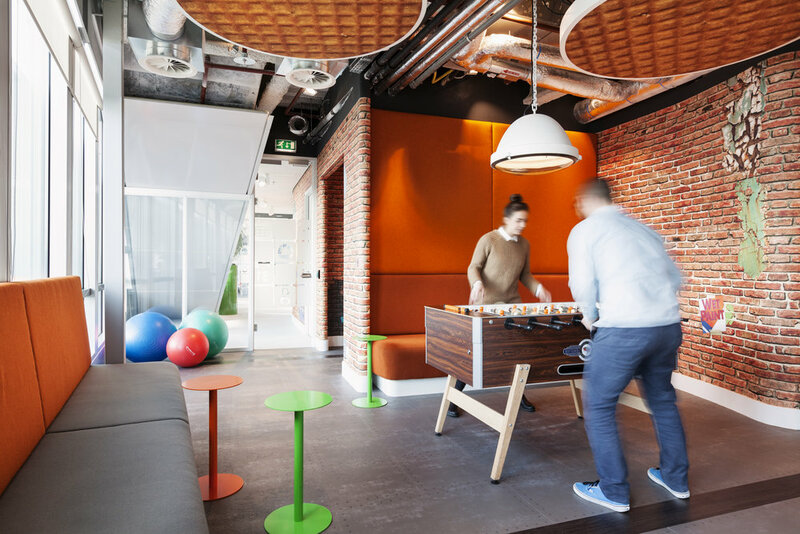 The gym, meditation room and the desk bikes all offer opportunities to stay in shape, both physically and mentally.